Everyone likes their chili differently, and I am no exception. Here is a recipe that I have fine-tuned over many years for an easy to prepare, delicious chili. I seldom hear any complaints from my guests. I use a slow-cooker. It's easy and the slow cooking makes certain that you don't impart a burnt flavor. I also like how the slow cooking breaks down the ground beef into very fine, tender pieces. My favorite model has a low setting for 8-10 hours. I will often start the process in the late evening and allow it to cook over night. The recipe easily scales-up for the amount of chili that you want. Each pound of ground beef makes about four servings. The exact amount of each of these ingredients is approximate. Don't get hung-up on being precise. It's cooking for goodness sake, have some fun in the kitchen! 1 Tsp garlic seasoning, or diced garlic. 1 Tsp onion seasoning, or diced onion. 1 - 12 oz bottle of beer. I prefer Sam Adams Boston Lager for cooking. Your choice. However, the darker the beer, the more of the yeast and hops flavor you will enjoy in the chili. 2 - 14.5 oz cans of diced tomatoes. Your choice on type: plain or with peppers, onions, etc. Feel free to dice your own; I'm too lazy. 1 - 10 oz can of tomato soup. Plain old Campbell's Tomato Soup. Chili seasoning. Your choice here. I am not too proud to simply use a pre-packaged chili mix most of the time. Brand is not important. I do not like my chili spicy hot... only spicy flavorful. If you have a concoction of pepper and spices that works for you, use it. It's the other things I use in this recipe that give this chili its special flavor. 4 Tbsp flour. Corn flour is best (NOT corn meal), but regular white flour is fine too. Milk chocolate (to taste). Not semi-sweet or dark chocolate, but MILK chocolate. I use about 2 Tbsp. Grape jelly (to taste). I use about 2 Tbsp. - Turn the slow cooker on low. - Place the fresh / thawed ground beef in the slow cooker and use a wooden spoon to break up and loosen the meat. - Add the garlic and onion (seasoning or fresh), beer, diced tomatoes, tomato soup, and chili seasoning of choice. - Stir completely and thoroughly. - Cover and allow to cook. It does not hurt to uncover and stir occasionally, but it is not necessary if your slow cooker is on a low setting. - Turn off the slow cooker. - Uncover and BEFORE stirring, ladle-off any surface oil. This step may not be necessary depending upon the ground beef. Some has less fat than others. - Lightly spread the flour on top, and stir into the chili. The flour adds both taste and texture. You may use more or less to your taste. - Lightly spread the brown sugar on top, and stir into the chili. You may use more or less to your taste. - Add the milk chocolate - or - grape jelly, and stir into the chili. Do not use both. Each one provides a unique flavor, but I do not think that they go well together in the chili. Experiment and choose the one that you like best. - Do not add the brown sugar and milk chocolate / grape jelly until the long slow cooking process is complete. If you add it at the beginning, the sugar is likely to burn on the bottom of the slow cooker and leave you with a bitter flavor. - Salt and pepper to taste. I wait for this step to the very end as the need for salt will depend upon your other ingredients. Extra salt may not be needed for your taste. Don't over-salt early, as it's very hard to undo later. Notice there are NO BEANS. Sorry, but chili was not meant to have beans. Since some people like beans with their chili, I will prepare them separately so that they can be added by choice. Everyone in the family likes to be creative when eating their chili. I like mine on a bed of corn chips, topped with shredded cheese and sour cream. The kids like a bed of pasta (your choice) or saltines. Diced onion or jalapeños are good on top as well. There is no right or wrong way to serve chili at our house. Moot is a re-imagined forum application introduced as a beta version in April 2013. In the developers' own words, "Moot is a radically different discussion platform, unencumbered by the weight of unnecessary features and distractions. It places the conversation back to the forefront. Clean user interface, persistent content and deep integration into the site will allow a more natural and meaningful discussion to take place. People will focus on topics they care about." You can read more about Moot at their website. The neat thing is that you can use the Moot application to provide full forum capability, or to provide a simple comment system for blog posts, photos, articles, or whatever you choose. If you have found this blog post, you probably already know all about Moot. You have likely created a forum to test and now you are interested in embedding the product into your Google Blogger site. This task is actually very easy to accomplish, and I believe the following guides will prove helpful in getting the basic functionality working on your own Blogger site. To install Moot as a forum. 2) Configure your blog to properly host the Moot forum application. Log-on to your Google Blogger account and navigate to the blog's admin menu; select "Template" and then select "Edit HTML"
Select "Save Template" and "Close"
3) Create a new page on your blog to display the forum. 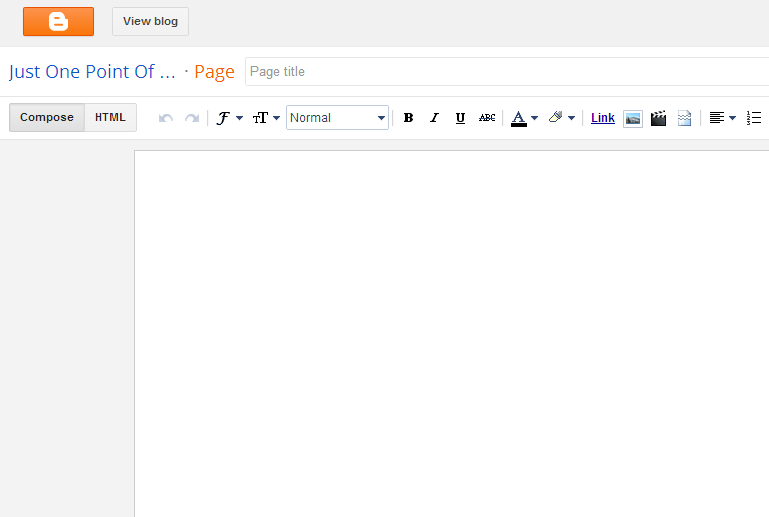 From the blog's admin menu; select "Pages," "New Page," and "Blank Page"
Enter a descriptive name for the new page (i.e. Forum) and in the page edit dialog, select "HTML"
Enter the following HTML code to place your Moot forum in this Blogger page. Where [forumname] is the name used when you registered the new forum at Moot.it. Do not include the square brackets. That's it. You have successfully added a Moot forum to your Google Blogger site. For more information, please refer to the Moot documentation. To install Moot as a Comments system. 2) Configure your blog to properly host the Moot forum application (Please note that this is the same first step as used to install Moot as a forum. If you have already done that, you can skip to the next step). Log-on to your Google Blogger account and navigate to the blog's admin menu; select "Template" and then select "Edit HTML"
3) Create a comments feature for your content. 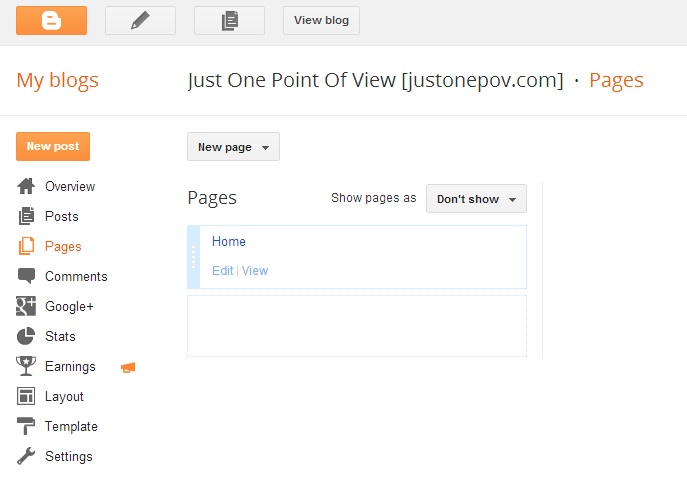 From the blog's admin menu; select the existing page or post where you would like to add the comments feature. In the page edit dialog, select "HTML"
Enter the following HTML code where you would like the Moot comments feature to display. Where [forumname] is the name used when you registered the new forum at Moot.it, and [pagename] is a unique name for this comments feature. 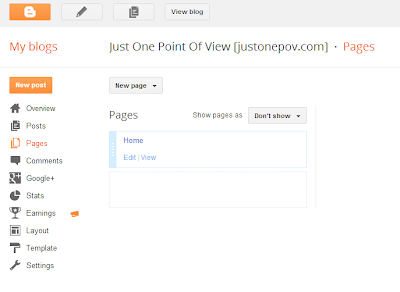 Each comments feature you add to the Blogger site must have a unique [pagename] to manage the users' comments. Do not include the square brackets. To be most effective as a comment system, you should consider changing your Blogger site settings to hide Blogger hosted comments (Admin Menu, Settings, Posts and Comments, Comment Location - Hide) and (Admin Menu, Layout, Blog Posts - Edit, Comments - uncheck). That's it. 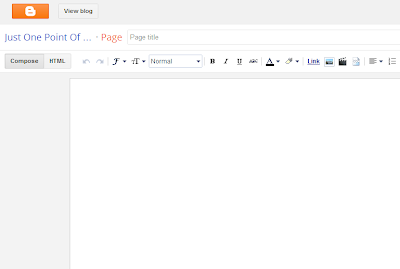 You have successfully added a Moot comments feature to your Google Blogger site. For more information, please refer to the Moot documentation. Customizing the Moot application look and feel. The Moot application automatically inherits the style of your Blogger template. However, if you need to fine-tune the look, you can override the CSS to customize the Moot forum or comments feature as you wish. This may be a more advanced task for some users. 1) Log-on to your Google Blogger account and navigate to the blog's admin menu; select "Template" and then select "Edit HTML"
In the example above, the CSS customization sets the Moot font size to 14 pixels tall, and the font color to dark gray (#666666). You would enter your own custom CSS here. The Moot CSS reference provides the information used for their application. Use caution changing these values and keep good document on the changes you made. 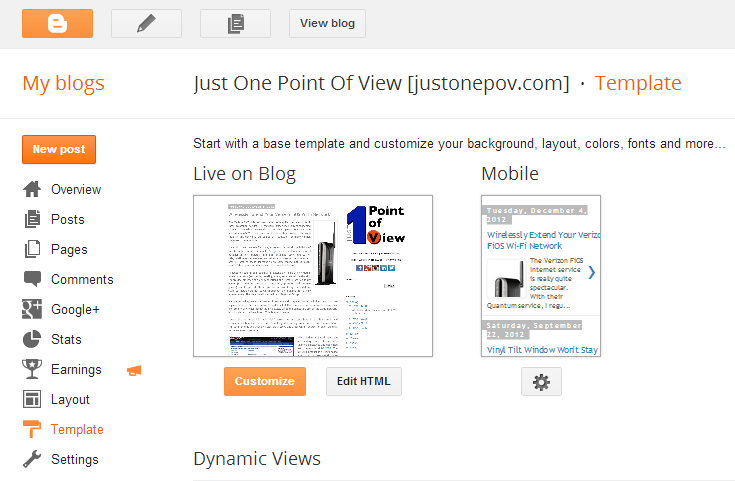 Some edits can render your Blogger site unusable. I hope that this brief tutorial helps you enjoy the Moot application on your own Google Blogger site. The Verizon FiOS Internet service is really quite spectacular. With their Quantum service, I regularly experience direct-connected speeds of 60 Mbps download and 30 Mbps upload. However, the Actiontec MI424WR router is a weak link in their product. The wi-fi radio in this device is the source of frustration for many Verizon customers... me included. 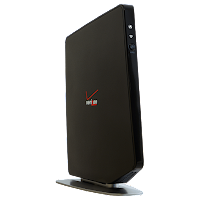 Many FiOS users search for a way to extend the wi-fi capabilities of the Actiontec router. A simple Google search will reveal several options: tin foil reflectors, high-gain antennas, power line carrier sets, wi-fi repeater devices, and ethernet-connected remote access points. Some of these solutions work, some maybe not so much. None of them provided the answer that I was looking for. I needed to solve three problems: (1) extend the range of my existing wireless network (and not by creating a new, separate wi-fi network); (2) provide ethernet network connections at a remote location in my home (for ethernet-connected computers, printers and console games); and (3) provide these two functions wirelessly (i.e. I did not want to install ethernet cable throughout the building for a new access point). 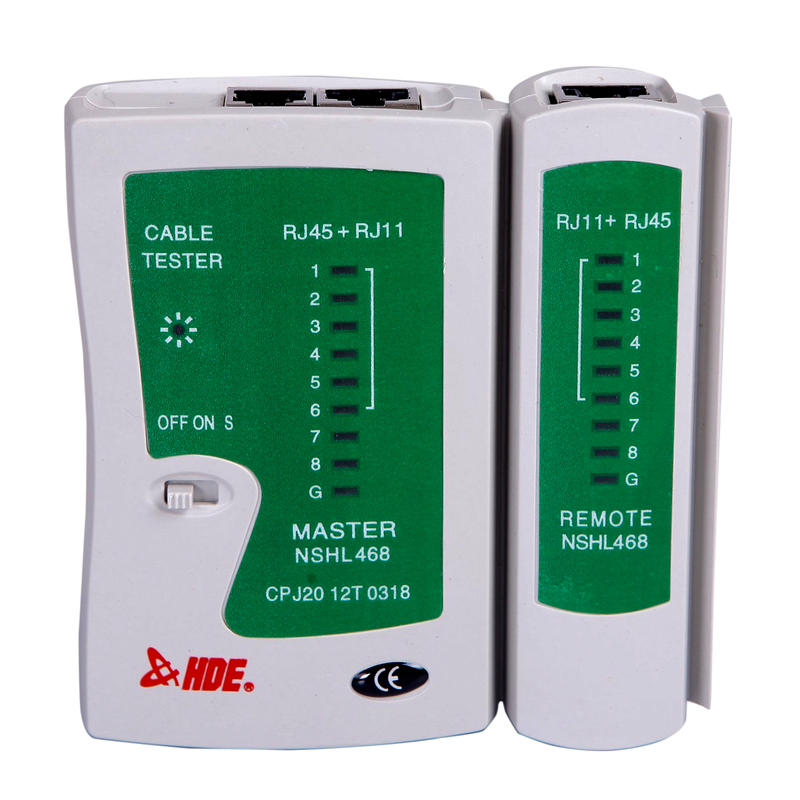 The ideal solution would be a Repeater Bridge. A Repeater Bridge connects two local area network segments with a wireless link. The two segments are in the same network, and to all of the computers on the network it looks like two ethernet switches connected by a cable. Since the computers are on the same network, broadcasts reach all machines. This is what I needed. Sounds like an impossible task, right? Wrong. Fortunately, there is a rather simple and economic solution that is proven. It's not my idea, or my work, so no credit claimed here. I'm just providing you with the steps that I took, and a convenient source for all of the links to the necessary resources. 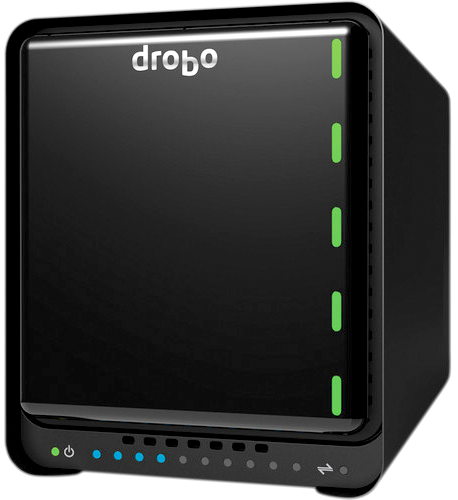 The solution is based upon the outstanding work of the very talented employees and dedicated user community at DD-WRT. 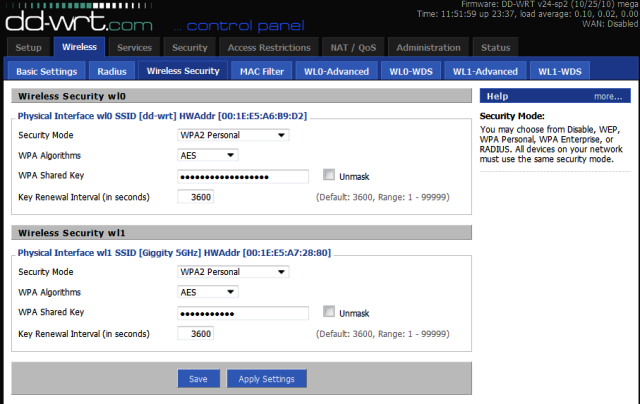 The DD-WRT product is a Linux-based alternative OpenSource firmware designed for use with a variety of wi-fi routers. The idea is to load this custom firmware on the router which allows it to be more than simply an access point; to unleash the powerful device's enhanced capabilities... like the Repeater Bridge function we desired. The DD-WRT community is probably best known for their work on enhancing the capabilities of the inexpensive Linksys WRT54G wireless router. While the WRT54G device is a real workhorse, it does not support IEEE 802.11n networks like that used by the Actiontec MI424WR. Therefore, I would need to start with another device. 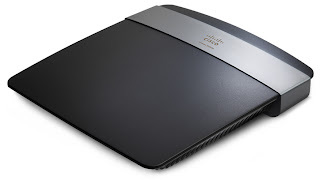 The Linksys (Cisco) E2500 / N600 router is a dual-band N (2.4 and 5 GHz) device that supports transfer rates to 300 Mbps. More than sufficient for my needs. It is moderately priced, and can be found at most online and big-box retailers. It may sound funny to purchase a brand new router and essentially "hack" it. However, the hardware itself is really quite powerful, and we are just taking the steps necessary to leverage the capabilities of the DD-WRT firmware. After installing the firmware and configuring the router as instructed, we are pleased to report that our DD-WRT powered Repeater Bridge has been working flawlessly on our network, having resolved many of our problems with the Actiontec router. If you are an advanced novice and are able to follow instructions, you can get the same results. The actual steps we took are listed here with brief comments. Please carefully read the information at each of the provided links. While we are confident that these instructions work, we cannot be held responsible for any damage that may occur to your router, or the devices connected to your network. We are also not able to provide support for the DD-WRT firmware or instructions. Comments requesting such support will be deleted. (1) Chose a router that you believe may meet your needs. We chose the Linksys E2500 router since it supported 802.11n and had the dual-band and throughput capabilities that we desired. 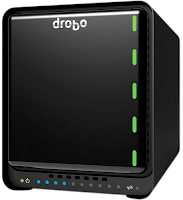 (2) Navigate to the DD-WRT router database, and search for your chosen router to make certain that there is a current, up to-date firmware that supports the device. Some routers are not supported by DD-WRT. Check before you buy! (4) Set-up and confirm that the router works as it was originally designed and that it performs the standard access point function. For a brand-new router, there may be an initialization process that requires vendor-supplied software. (5) Navigate to the DD-WRT wiki, and search for your chosen router. Carefully follow the instructions to replace the device's firmware. The DD-WRT wiki will always have the most recent version of the firmware for your device. Do not trust other sources as installing the wrong version of the firmware may render your router useless. I cannot stress enough to carefully follow all of the instructions. Do not skip a step regardless of how meaningless you may believe that it is. 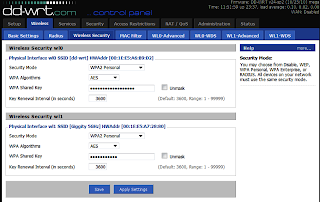 (6) Navigate to the DD-WRT instructions on how to configure a Repeater Bridge. Carefully follow the instructions to configure the device for this specialized function. 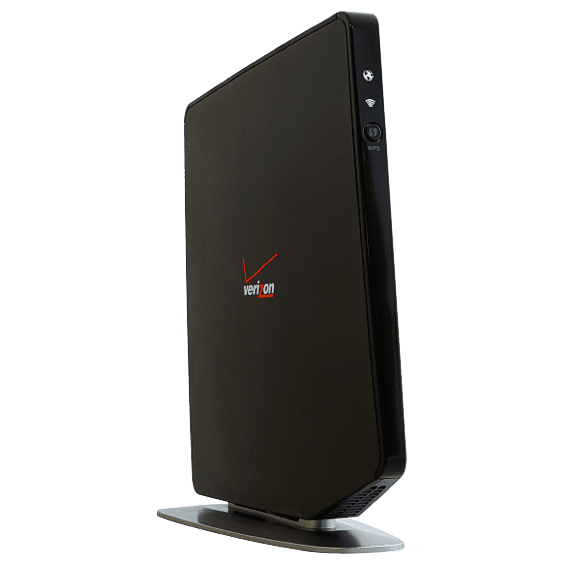 (7) Enjoy the enhanced capabilities of your router, including the wireless extension of your Verizon FiOS Actiontec MI424WR router!